What is the Recipe Swap? 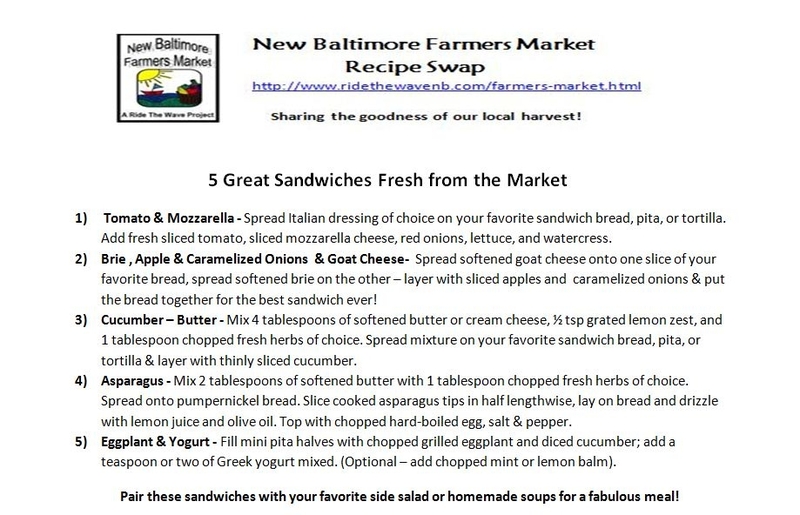 The idea behind the recipe swap is simply to share the goodness of our local harvest via recipes inspired by the seasonal delights available weekly at the New Baltimore Farmers Market. 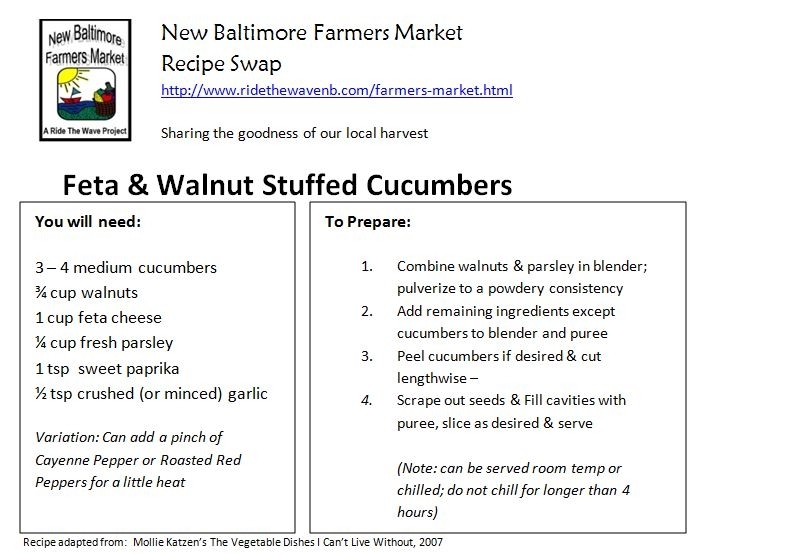 The goal of the recipe swap will be to compile enough local recipes to create our own Market to Table Cookbook. By summer’s end, we hope to have gathered an abundance of recipes which will be compiled in a cookbook for market fans filled with wonderful locally harvested culinary delights. 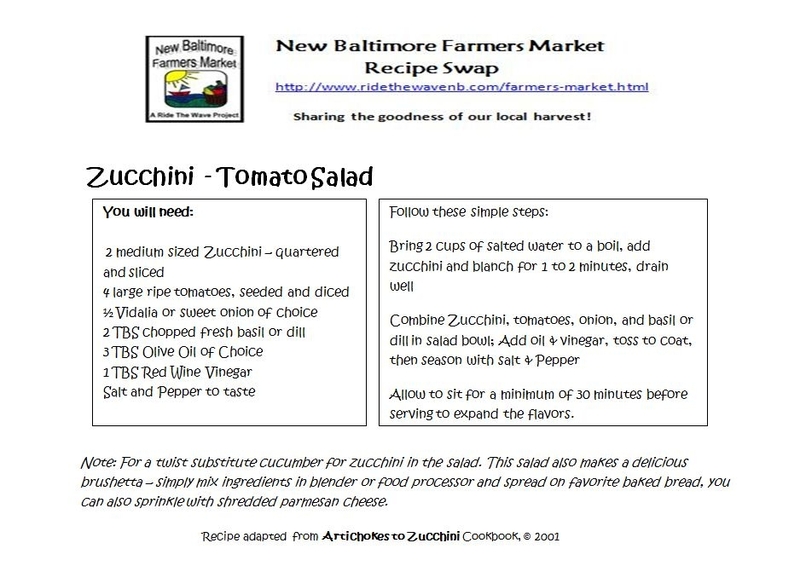 Recipes can be dropped off each week to the information table at the market where there will be a box labeled Market Recipe Drop-off or you can email directly to the New Baltimore Farmers’ Market website. To submit a recipe to via the web site simply click on the Contact Us tab and fill out the required information on the form: your name, email address, and in the comments field copy and paste your recipe then click the submit button. 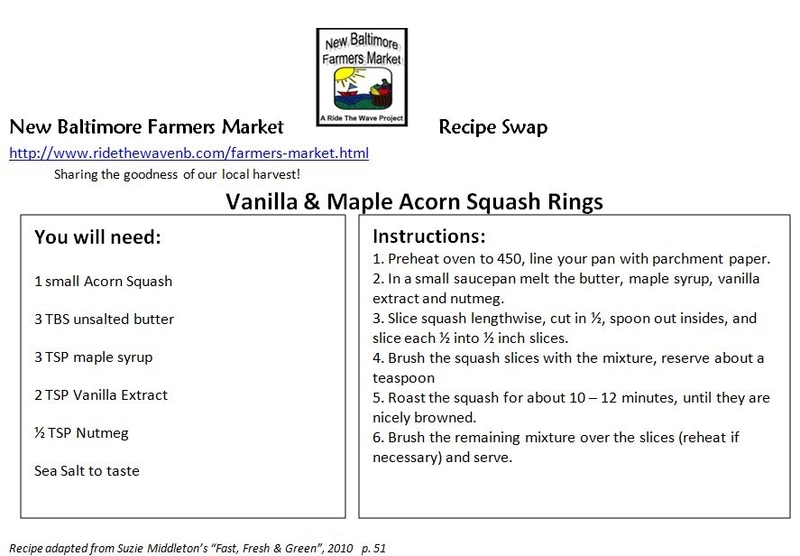 There is no limit to the number of recipes you can share; we simply ask that the recipe or ingredients be inspired by the Farmers Market in some way. Market vendors and market goers are welcome to participate. Note: Please do not copy a recipe directly from a cookbook to submit, if you have a favorite recipe from a cookbook, family member or friend you would like to share, simply attribute the recipe creator. Enjoy some Farm to Fork Goodness today!